The Lord, the only true God, has spoken. He has summoned the earth from where the sun rises to where it sets. God shines from Zion, the perfection of beauty. “Listen, my people, and I will speak. Listen, Israel, and I will testify against you: I am God, your God! I am not criticizing you for your sacrifices or burnt offerings, which are always in front of me. ⌊But⌋ I will not accept ⌊another⌋ young bull from your household or a single male goat from your pens. Every creature in the forest, ⌊even⌋ the cattle on a thousand hills, is mine. I know every bird in the mountains. Everything that moves in the fields is mine. "What does God want from me?" People often ask this question as if there's no clear answer. This question is asked many times out of frustration (or irritation) when things don't go well, or don't go as expected or wanted. Clear instruction is given by God in several places in the Scriptures. God does give insight and instruction about what He desires from people. It's not complicated, but it's not always what we want to hear. Our problem—all people, everywhere—is that we want what we want. Each person, no matter how selfless they try to be, is self-centered. We're focused on our selves because of our self-will. We can't be focused on God unless we align our will with His. Again, it's not complicated, we just need to listen to what God says. 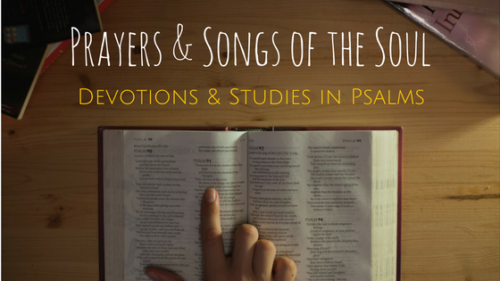 In this psalm, God tells us a few basics that are echoed in other places in the Bible. What are you thankful for today? Have you expressed this to the Lord? Are you willing to be thankful even when it seems like a sacrifice?